You don't have to lift heavy weights to wear this stunning necklace. Just adorn it around your neck. 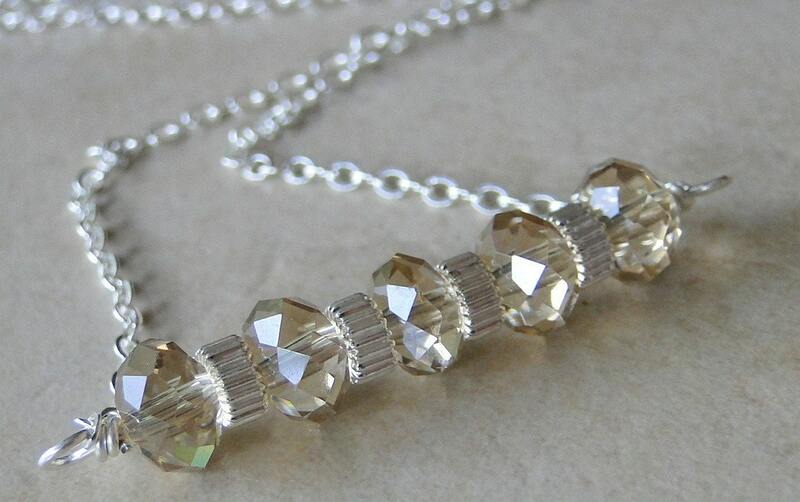 Multi faceted light golden, beige glass crystals. Beads are wire wrapped on to sterling silver wire which is attached to a sterling silver chain. The chain is fastened with a sterling silver lobster clasp and jump rings. Necklace measures 18 inches (46cm). To check out further handmade necklaces. To go back to the main store. Shipped quickly, lovely product & seller very friendly, thank you!